Mix in the Chaos, Stir Up the Fun! The word-racing frenzy that sees you steal letters, swap places, and even destroy other players’ word grids! 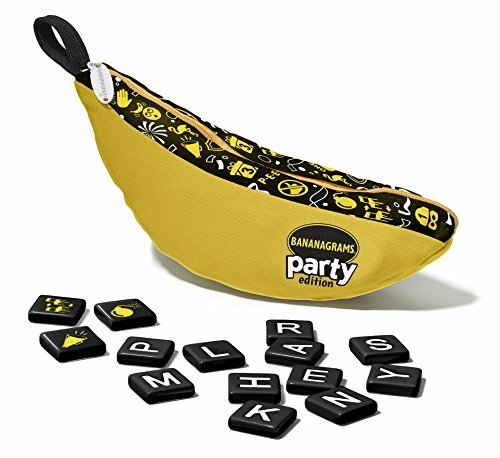 BANANAGRAMS Party edition captures the addictive fun of the original, but with 14 chaos-inducing new tiles…So start the party and let the mayhem begin! It’s fast, frantic fun in a travel pouch.